Our range of products include hydrin diaphragms (suitable for), hydrin diaphragms, silicone diaphragms (suitable for) and silicone diaphragms. 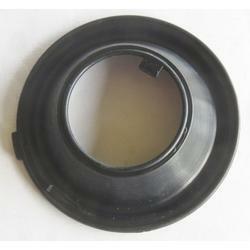 We are involved in manufacturing, supplying and exporting a diverse range of Hydrin Diaphragms. These are manufactured using high- quality materials procured from certified vendors. These are tested thoroughly to meet international quality standards and are easily procurable for our valuable customers, at market leading prices. 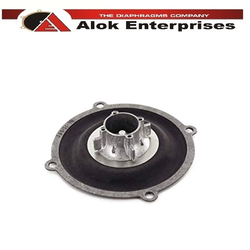 We are offering high quality Hydrin Diaphragms which are manufactured from high grade of raw material. We have brought Silicone Diaphragms, made out of high grade silicone material, procured from trusted vendors. We perform numerous quality check measures, to ensure its durability and working life. These are movable between two components through a dividing membrane. We offer these products at industry leading prices. Looking for Silicone & Hydrin Diaphragms ?